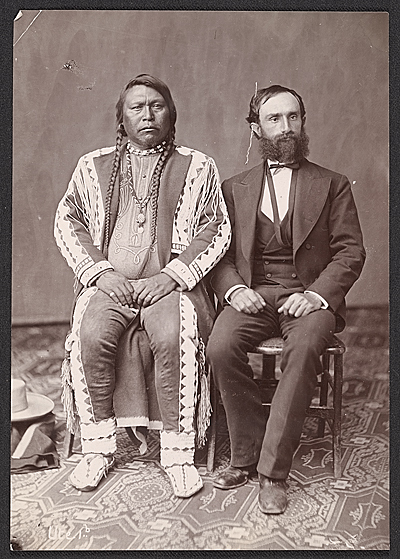 Published September 3, 2014 at 400 × 559 in Ute Chief Ouray and Otto Mears between 1860 and 1880. Ute Chief Ouray and Otto Mears, between 1860 and 1880 / Smithsonian Institution. Bureau of American Ethnology, photographer. Allen Tupper True and True family papers, Archives of American Art, Smithsonian Institution.